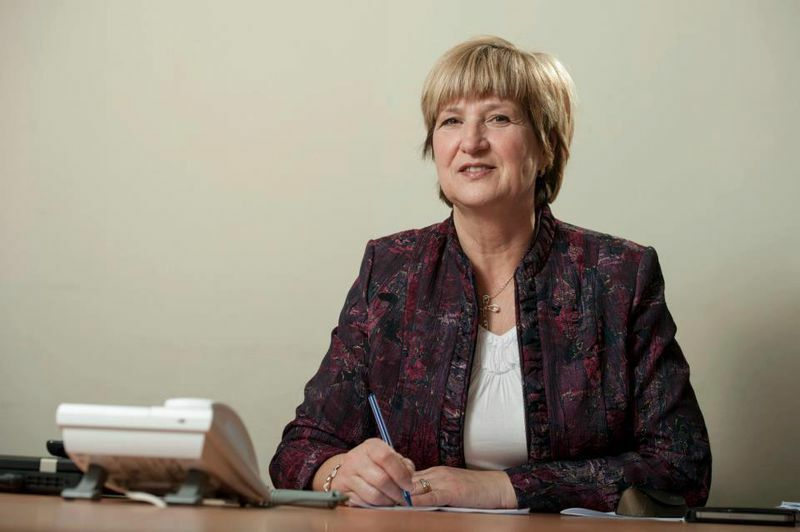 The first European elections in Croatia have been won by Ruza Tomasic or as they call her here Ruza Hrvatska (Croatian rose). Thanks to the applied for the first time model of preferential voting, Ruza Tomasic surfaced from sixth place on the list of the right-wing coalition, led by the symbolic for Croatia party Croatian Democratic Union (HDZ), to the top with huge support and a significant advantage ahead of the rest. Precisely this fact significantly undermines the claims of HDZ leader Tomislav Karamarko that he has won the election because if it was not for the thorny Ruza, hardly the party he has been trying to lead for a year now and is constantly losing rating, would have even come closer to that outcome. Ruza Tomasic is a former emigrant who has returned in the 1990s from Canada where she was a policewoman. She went to Canada young - 15 year-old. There she became a policewoman and often worked under cover in pursuit of illicit drug trade. She says of herself that as a little girl she behaved more like a boy which can explain the fact that she participated as a stunt in the X-Files series. She returned to Croatia in the beginning of the 1990s of the past century upon invitation of Franjo Tudjman. She became a bodyguard of high level Croatian politicians, but this is not the only parallel that can be made with the former Bulgarian prime minister Boyko Borisov, who from a firefighter went through a bodyguard of Todor Zhivkov, the former Bulgarian dictator, to reach the position of a general secretary of the police, a mayor and to end up as prime minister. It was in Canada that Ruza Tomasic learnt that one should respect the country that gave them shelter and if they do not like something they should leave. This remark of hers during the election campaign was among the most quoted in the country and provoked Prime Minister Zoran Milanovic to describe Ms Tomasic as dangerous for the country and even as "evil". According to the prime minister, Ms Tomasic is not playing with fire, but with radio active materials. The woman who won the hearts of a number of Croats and was raised to a cult for her fight against organised crime is a leader of the "Croatian Rights Party Dr. Ante Starcevic". On election night, Ruza Tomasic preferred to celebrate the birthday of her son and did not share her victory in the headquarters of HDZ in Zagreb, where celebrations started right after the first initial results were published, showing a slight advance for the coalition ahead of the ruling Kukuriku coalition. This surprised many media, politicians and analysts some of whom interpreted it as her trying to escape from taking responsibility, while others suggested her agreement with Karamarko was not to steal his moment. Both theses are justified, since Ms Tomasic herself said she did not expect at all such an outcome. And the national TV quoted a statement of Tomasic from 2005 when she says that if she was offered to sacrifice her children for the sake of the freedom of her country, she would sacrifice them immediately. Her victory visibly scared a large share of the establishment because it would not be too exaggerated to predict that this is another party in Europe that is turning into an important political force, collecting the protest vote of the citizens disappointed with the failures of politicians, especially in the countries of South-East Europe, tainted with corruption, incompetence and shortsightedness. And although Ruza Tomasic herself is perceived as a chauvinist and a nationalist, reading the platform of her party takes her out of the field of non-seriousness and wordiness. And if my first thought when I noticed her on Croatian stage was that this was Croatia's Volen Siderov (a Bulgarian nationalist), I have underestimated her. She is likely closer to British Nigel Farage, but she could also be as close to Cameron's Conservatives. We can hardly put Tomasic's party beside the True Finns of Timo Soini or beside Beppe Grillo in Italy. Her place is rather close to the British conservatives. She herself says that she is righter than Karamarko's democratic union, who is in a process of reconsideration and in a search of a new direction. Reading the party's platform is quite intriguing because in it can be found similarities at the same time with mutually exclusive political forces like, for instance, the Republicans in US, some liberal parties in Europe, and even some centre-left formations. But the contradiction is only at first sight. The reason is rooted in the hybrid history of Croatia as part of the former Yugoslavia - both a Socialist republic and a country with very weak totalitarian nuance, unlike the rest of the countries to the right of the Iron Curtain. The HSP programme brings forward analogies and memories of the strong state and its role in people's lives. The programme [in Croatian] is very detailed and is written in 2010. In it, it is pointed out that the "Croatian Rights Party Dr. Ante Starcevic" views Croatia as a social state which takes care of everyone, but especially the most vulnerable layers of society. The party stands for social justice and solidarity, for the right of a job and a salary that guarantees dignified life for the person and the family. Among the party's values is also ensuring pension for all Croatian citizens who are incapable of continuing to work, as well as ensuring material and moral assistance for all victims of repression. As a typical conservative party, HSP is against abortion, promotes and defends marriage and the creation of a family. The basic and high-school education must be free of charge, universities must be autonomous, there must be academic freedom and freedom for research and innovation. Tertiary education must to a large extent be financed and supported by the state budget in order to increase the number of people with high education in the country. Regarding domestic policy, the main principles and views of HSP are for rule of law, respect for human rights, guarantee for the democracy and the development of the state by providing equal chances to every citizen. The security services must be under strict civil supervision and the fight against drugs, organised crime and international terrorism must be a priority task for the state, is the view of the party of the former policewoman and a renown fighter against organised crime. An interesting element of Rose's party is that in it it is said that Croatia's membership in the EU, scheduled for July 1st this year, is important because this will enhance the economic prosperity of the country because of the belonging to the European civilisational circle and will also enhance Croatia's national security. In the same time, however, last year Ruza Tomasic called on the Croatian citizens to vote with "against" at the referendum for the country's membership in the EU because, as she put it, it was unclear what it was all about. 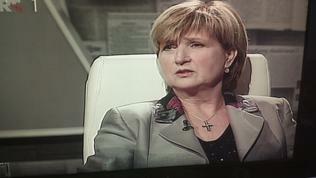 And in her interview with the "Sunday at Two", a programme of the national TV HRT last Sunday to the question why since she is practically a eurosceptic she aimed to become a member of the European Parliament, Ruza Tomasic answered that she was going there to defend Croatia's interests. In the programme of 2010 it is also written that the party will develop good and friendly relations with conservative parties to the centre-right as well as with the right-wing in Europe, especially within EU. A strategic goal of the party is membership in the European People's Party after the parliamentary elections and entering Parliament. It is important to note, though, that after the unexpected victory at the European elections, she said in an interview she was still not sure which political group she would join. The leading party in the coalition (HDZ) is part of the EPP family, but Ruza Tomasic said she considered herself righter than Karamarko's people and for this reason she was still thinking which group she could join. Her options are not many - either Martin Callanan's conservatives (European Conservatives and Reformists) or Europe of Freedom and Democracy of Nigel Farage. It is hard to judge from her programme because there are no deliberations about the EU at all, but after all it was written n 2010. It is also hard because the political views of the party are a hybrid between the developed in a capitalistic environment conservatism and the fresh conservatism that popped up from the big central planning state of the Socialism. This explains why the party believes that Croatia should have a strong national bank in which most state-owned companies should hold their money and there is no word about privatisation. This bank should be a strong and powerful investor and should not be to the service of the ruling parties or opposition politicians. 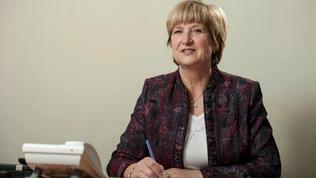 Ruza Tomasic is currently the only member of her party to sit in Croatia's Parliament. Against the backdrop of her success at the European elections, however, it would be interesting to follow how will the formation's development continue from now on. The Croatian Rose is easily winning supporters with her stainlessness from current politics and her nationalistic statements which very quickly drop roots in the already high levels of patriotism Croats have, for whom the memory from the war for independence are still fresh. She evokes applause with remarks like: "This is the Croatian Parliament and here we speak Croatian. I will ask the respected colleagues during debates to speak Croatian as some words I don't understand at all", a remark obviously addressed to the members of the Serb minority. She also says that while hundreds of rebels walk freely in Croatia, "we put on trial Croats for the fact that they defended us". In fact, Ruza Tomasic is very well nicknamed a Croatian rose - it is beautiful but has a lot of thorns. The local elections on May 19 will be a great test for her. If her party a scores serious advantage again, then all major political forces will have to begin to worry. And for Ruza herself that will be a test, too, because at this stage her party looks of the leader-type and she herself looks unprepared for a huge jump in spite of her deep platform. It is all evident, however, that she is not scared of anything and if forced to she is up for the challenge whatever it might be.